Just two days before leaving for the planned Shirdi trip, i casually mentioned to Vijayanand Swami at his ashramthat i would be going to Shirdi. He immediately asked me to meet Janglidas Maharaj, whose ashram is only 3 km ahead of Shirdi. 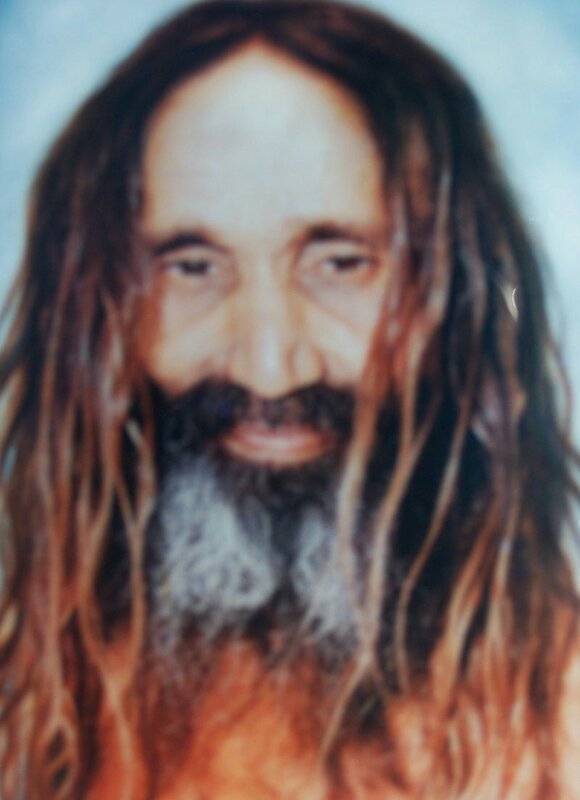 Saying so, he called up the ashram to enquire if Maharaj was in the ashram. As he kept the phone, Swamiji happily said that he is there. Swami spoke to someone there and informed that so and so would be coming on that date. i was a bit thrilled because this is my first ever visit to Shirdi, a place i had been longing to go since years but never had the opportunity. i noticed that things only fell in place after i went to Swamiji's ashram where he told me about Janglidas Maharaj and saying that i should visit if i would go to Shirdi. At the feet of Baba's statue is His samadhi. Early one morning i left for Shirdi along with my 3 other school friends and reached the same evening. All rooms everywhere were full but luckily we got the last 4-occupant room right in front of Sai Baba's place. Getting fresh, we went into Sai Baba's place and were able to get the darshan in a hour. The place is so magical and it is not only here but it can be sensed even for a few kilometers away from Shirdi.... it is just radiating. After the darshan i curiously looked around every bit of place trying to feel and experience every place that once witnessed Sai here. i was constantly trying to visualize the original settings here while Baba lived. It's a blessing to be here. i wanted to come back here again the next day also here as you never feel contended as due to the heavy crowd one cannot have that extra privilege of standing in one place for long in the Samadhi mandir. Within seconds before Baba's samadhi darshan one would find themselves out conveniently because so much of crowd has to be managed. The people managing this place have made all possible arrangement for people in queue so that the line moves faster, to be able to handle the thousands of people walking in everyday! i was wondering where could one spend some time here in meditative silence and as we came out i saw Gurusthan, which is just next to the Samadhi temple. 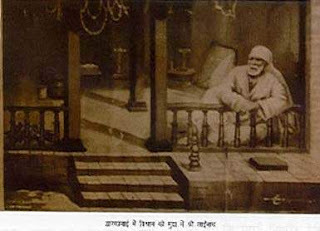 The Gurusthan is known as the Sacred Watan (home) of Sai Baba. It was here Sai Baba was first seen about 16 years old sitting under the neem tree that is still fully live and green. 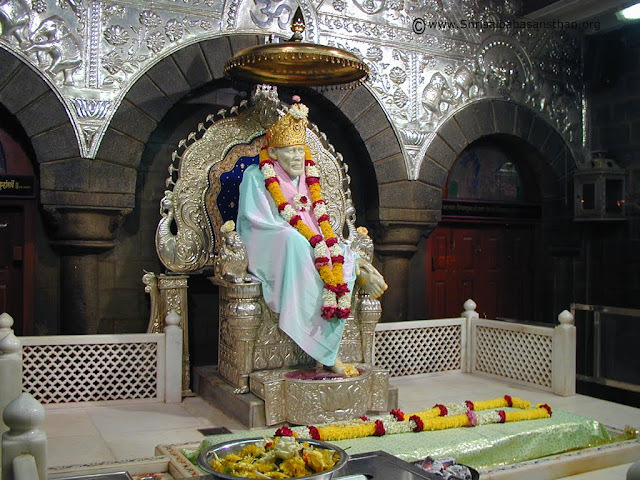 (see photos and details) This is also the place where Sai Baba in his previous life had meditated for 9 years underground. This place is the only place that i could be able to sit without anyone disturbing. A very wonderful place to contemplate. Then visited other places - Chavadi, dargah which has the tomb of the Samadhi of Haji Abdul Baba and other samadhis. The energies just build up here even if one does not notice it. After moving around for some time, buying some books and collecting the sacred Udi, we left back to our room and next morning again came back here. This time again went into Dwarkamai, something seemed to be pulling there. Soon we came back and after freshening up, left towards Kokamthan to visit Janglidas Maharaj, which is situated about 7 kms further from Sai Baba's place. There was a very strong craving to meet Janglidas Maharaj ever since Swami Vijayanand had mentioned about him. 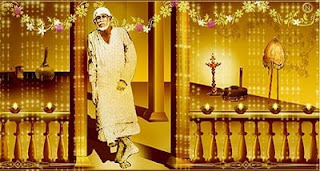 Even my Shirdi visit was possible only due to him. i was very deeply wanting to meet Maharaj. Not sure of how the things would turn up or whether i would really be able to meet him also lingered somewhere a little in the back of my mind. While travelling i called up a disciple whom i was asked to call and when i informed that we were in Shirdi and were leaving towards the ashram, he just said "come". 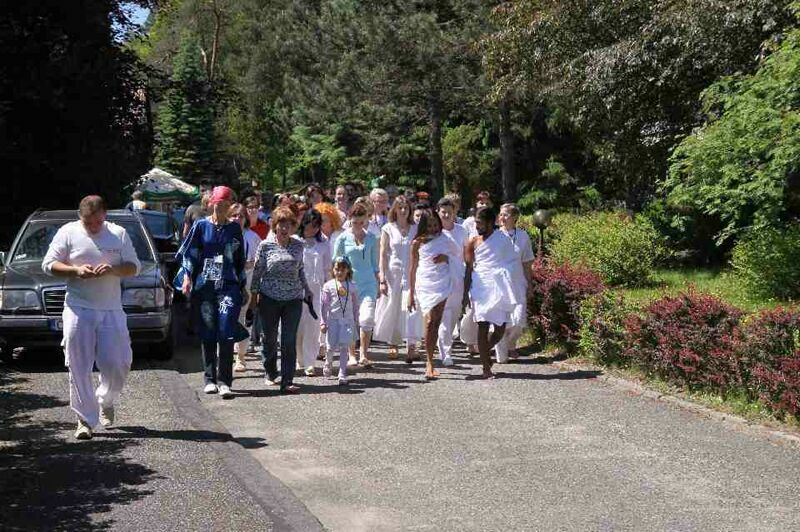 When we reached, we saw it was a huge ashram We walked in and enquired at the office about the person i was too meet and they asked to walk to the temple and from there take a deviation. As i walked into the ashram i understood that this is a huge institution in itself running schools and other philanthropic work. We went straight to the Vishatmak Temple which was very calm and serene. 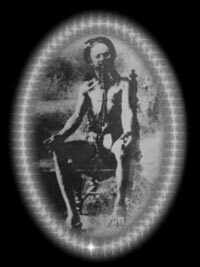 i found that Janglidas Maharaj was known and addressed as Gurudev. 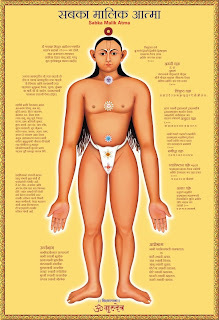 Gurudev is believed to be the reincarnation of Jangli Maharaj. The word "Das" has been added meaning "servant" so the servant of Jangli Maharaj, who lived in the late 18th century, who was unusually tall more than 7 feet. He was a hatha yoga expert who liked to show off his yogic powers. 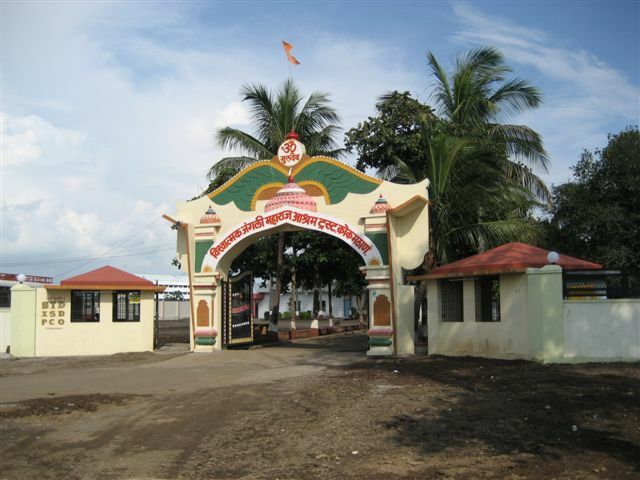 Once while passing through Akalkot he decided to use his black magic on Swami Samarth, who is one of the greatest masters believed to be the 6th incarnation of Lord Dattratreya. Swami Samarth only laughed at his futile attempts and Jangli Maharaj who was shocked decided to meet Swami Samarth who requested him not to use his powers and harm the common and illiterate people but rather use his powers to help the suffering humanity. Since then, he did only good service to people and after some time went into the deep jungle to meditate and thus was known as "Jungli" Maharaj. 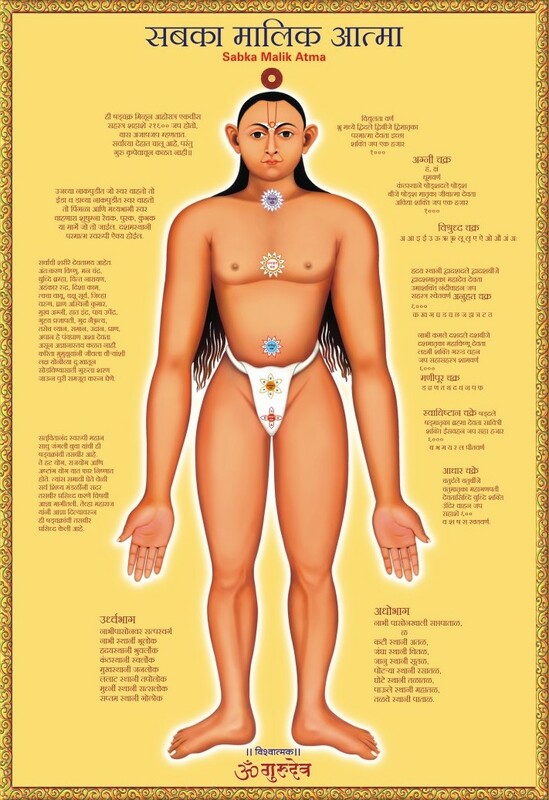 He then initiated his disciple Tekawadekar Maharaj with the guru mantra and told him that he could continue his work in his next incarnation and that his next embodiment could be recognized by a sign - Swastik Darshan. When asked what would his new embodiment be called, Jangli Maharaj open his clenched fist and flowers fell on the ground forming the words OM GURUDEV. 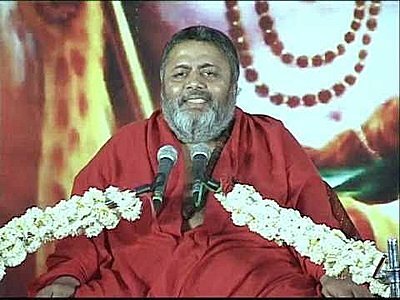 He took Samadhi in Pune, which is situated on Jangli Road. (would be visiting this place on my next visit with more quality time to be available). JangliDas Maharaj was born in Mumbai and at the age of 9, he would sneak from home to pray in front of the crucifix of Jesus Christ and here he spent many hours in deep meditation and had to be aroused by his upset parents. He once had a vision of Jangli Maharaj after an experience of his soul being pulled out of the bramharandra. He then took the name of JangliDas and since used this name. At the age of 16, he met Tekawadekar Maharaj and made his gesture of Swastik Mudra, which made Tekawadekar Maharaj recognize his guru who had left his body years back. Janglidas Maharaj then received the initiation with the guru mantra from him and was sent to the town of Yeola (Nasik) where Swami Muktananda had meditated before he settled down in Ganeshpuri. Here he did intense tapas without food and water for months. Then he went on pilgrimage blessing thousands of people and soon began his work on restoration of temples, schools, clinics and then gave food at the current place of ashram. The ashram today feeds 500 to 1000 people daily. After sitting for a few minutes, we moved to out of the temple to ask about the Swami whom i had called. i was directed his cottage and soon introduced myself to him and he called us in and made us sit. In a minute, he got up and asked to follow him. 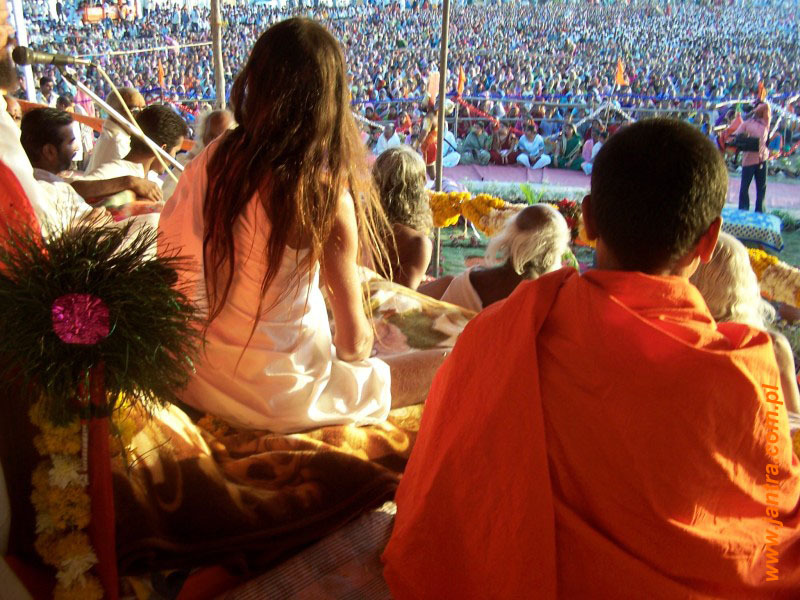 Soon we came to an enclosed netted place, which was lifted by Swami motioning us to come through it. This fencing was the compound to a small hut. i was pounding with internal joy knowing that it was Janglidas Maharaj's place! The Swami went into, what seemed to be just a small room, maybe around 30 sq. feet. With folded hands i went in with others and prostrated before this saint sitting in his casual lotus position. He signaled us to sit down and as i sat down i watched him giving a child-like sweet smile to everyone who sat down one by one. There was another person who was already sitting before him, who seemed to have come for some work. After a few flutter of his eyes, Maharaj quickly told him something and he asked his disciple to give us the sweet from a box that some devotee had offered. I watched his deep eyes on a calm face surrounded by long uncombed hair that flowed down to his shoulders. We were holding the sweet in our hands when Gurudev smilingly signaled us to eat and we did. Soon, the person who had come to meet Gurudev left the place and now we were alone with Gurudev except for two of his close disciples. The conversation we had here was entirely in Marathi. Then, we sat looking at him and Gurudev sat looking at each one of us. Silence. Then feebly he asked where have we come from and i replied from so and so place and that Swami Vijayanand had sent us. He smiled. He asked if we had place to have bath and food and we told him we were coming from Shirdi. He said, "Please attend the arati and after that have prasad (meals) and go or if it is urgent for you can have the food first. Whichever is convenient to you." Hearing his pleasant humble words through his splendid smile, i replied, "Whatever you say, Gurudev. We are not in hurry." He smiled and said, "Attend arati and then have prasad." i nodded happily. Then, silence for a while. i asked if he comes to the place i stay often and he said yes but not very frequent. He was gleaming with every word he spoke. He then mentioned that he would go to his other ashrams and named a few. He was speaking all this with the same spirit and same kind of expression like a small child saying, "i go to school, then i go home, then i go to my friends house also..." :) As he spoke, he played with a rubber band that was taken off from the sweet box. As he played with it while speaking to us, it got stuck in his finger and his disciple gently removed it from his hands and he was not even a bit distracted by that act, but was talking smilingly. i was watching all this as Gurudev seemed not to be present there. He was there but not there. 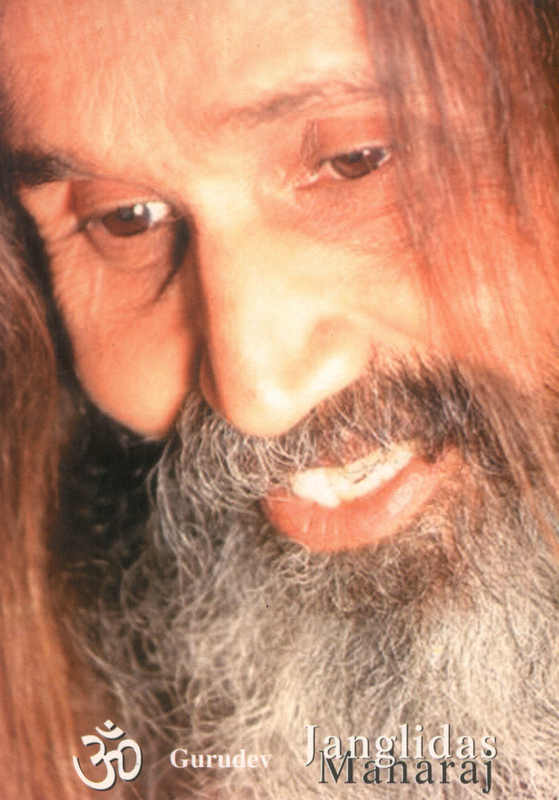 i knew that Gurudev was would be knowing everything and there was nothing we should speak about us or anything else. i knew he was aware of our coming and without his wish we would not be sitting in front of him like that because Gurudev hardly is involved in any programs in the ashram and hardly gives any sermons. He is always in silence. Before coming here, i had checked Gurudev on youtube had had seen some of his videos where he was in Poland with his disciples and also in one, doing a yagna. Everywhere he was silent. My mind went totally blank. There was a strange kind of excitement mixed with joy and respect. 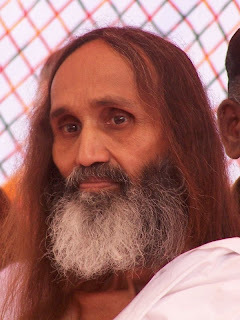 Then, i told him that i did not know anything about this place and had just watched a few videos of Gurudev in Poland before coming here and he just chuckled. Then there was silence for a long time. Then, his disciple signaled us it was time to leave. As we got up, i still kneeling in front of him and not wanting to go away just like that asked Gurudev if he had any instructions for us. To this, his face immediately glowed and he said "Yes..... Always meditate on the Self. God is within. Communicate within with the Self." he said pointing to his heart region. He continued, "If i ask one where is God one would say in the temple. God is within, in the temple is only the idol." He laughed. "Keep doing dhyan on the Self and everything will open up in time." He also added, "There are millions of God. All religions are one. Praying to Atma (Self) is praying to all Gods. i was gulping in everything he said without any interruption. He then signaled to his disciple and soon he gifted us each with a laminated photo of his Guru with his own hands, a divine gift of his own guru or he himself! i immediately remembered seeing this huge photo in the Sai Temple of our area. He said, "Read this and you will understand. Also, there is a 20 minute video on the meditation ." i answered, "Gurudev, your blessings will anyways make us know it all." He smiled. The biggest adorable expression of his was when he looked at whatever very little offering we kept at his feet and exclaimed, "So much you all have given!" Now, this was truly something to hear from someone who feeds hundreds daily and provides clinical assistance with ethic-based education for thousands with about 30 ashrams spread all across. We then took his leave and he was so much full of child-like innocence and deep smiles as we left. i could not believe without my logic seeing such a powerful man with such powerful humility and simplicity. Coming out of the hut and thanking the Swamiji profusely for his help, we left from there. All the time from here my mind was flashing Gurudev's innocent smile and his such unconditional love of acceptance of everyone as one. His main teaching is that one should keep the mind concentrated through unceasingly repeating the mantra given by the guru (guru mantra) and doing atma chinthan (contemplating on the Self). Though i was knowing words are nothing compared to the silence of a saint, i also wanted to hear something from him that could echo forever in my ears :) i was happy to have heard that. We went then for the arati which lasted for about 15 minutes and then headed to the bhojanalaya, which was a very huge hall probably having 1000 seats for people to take meals. We were guided into a different room meant for foreigners and the prasad there was just divine. Everything around was very systematic and disciplined with boards like "Kam bolo, dheere bolo" meaning "talk less, talk softly". As i left the ashram, my mind was just flashing Gurudev's loving smile again and again. He was installed in my heart and i knew that my trip was fulfilled. From here, we proceeded to Shani Shinganapur in Ahmednagar, Ranjangaon Mahaganapathi and reached Pune. Next day, in Pune we visited a Dattatray Temple, Akalkot Maharaj's temple, Dagdusheth Ganesh Temple and Balaji Temple at Ketkawale and back home by 8:30 p.m.